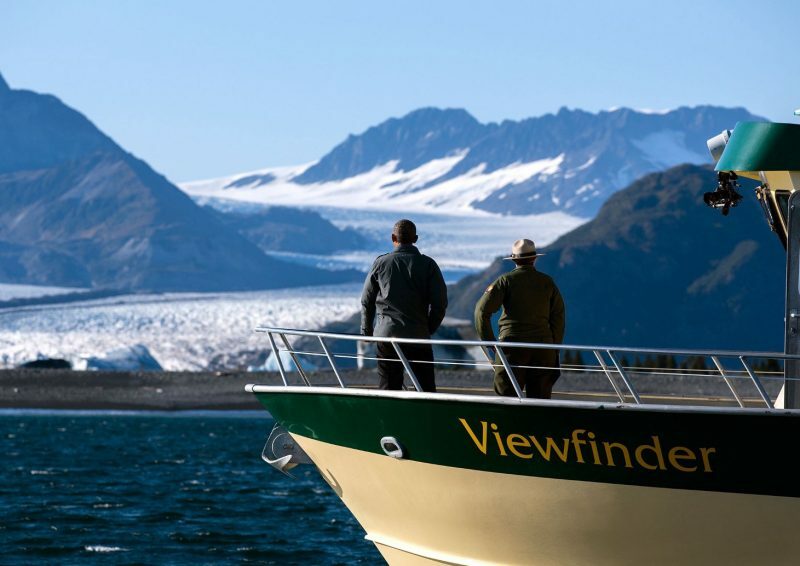 What is Obama’s Arctic Legacy? As Obama’s presidency draws to a close after almost 8 years in the White House, attention turns to the legacy he will leave. As the first African American President of the United States of America, Obama’s position in history is already secure; however, it is an exceptional legacy based in policy that he has sought to leave. For the last 18-24 months, this has entailed a focus on the environment. With the exception of Teddy Roosevelt and his establishment of National Parks a century ago, or perhaps Jimmy Carter and his drive for energy efficiency, there is no US President who has had a real stand out environmental legacy. It is in this regard that Obama achieved another first in 2015, becoming the first sitting US President to travel north of the Arctic Circle. Over his time in office, the Arctic presented Obama with a range of economic, defence and environmental issues that warranted greater attention. The legacy that the Obama Administration leaves in the region is bound inextricably to his wider achievements in countering climate change, given the large overlap between the two. There remains much for the next President to do to tackle climate change and to mitigate its effects in the Arctic, but to dimiss Obama’s efforts would be unfair, given the notable achievements and progress he has made. By the end of his term, Obama would have had a positive legacy on the Arctic and the environment, even if it is incomplete. The Arctic is very much ground zero for climate change, with its impacts already affecting the everyday lives of Americans. Alaska has warmed 1.7ºC over the last 60 years; in 2016, it experienced its warmest February and second-warmest winter on record, with only the winter of 2000-01 having a higher statewide average. (1) According to the database of NOAA’s National Centers for Environmental Information, February 2016 had an average statewide temperature of 17.2 degrees, much higher than the 20th-century average of 4.8 degrees. Furthermore, data from the National Weather Service revealed that Barrow, the northernmost point of the United States, had an average temperature of -4.1 degrees that month, 10.1 degrees warmer than the long-term average for February. (2) Current projections show the Arctic to be warming twice as fast as the rest of the world. Rising temperatures have clearly affected the Arctic’s ecosystems, with huge implications for the local population. Caribou populations have reportedly dropped by 5o%, which is a major blow for communities that rely on hunting – both economically and culturally. (3) Thawing permafrost caused by the rising temperature has led to saltwater encroachment and sewage contamination, both of which threaten supplies of drinking water. In addition, the first climate refugees have been created in the region as the changing climate drove the population of Newtok, Alaska, in 2015 to relocate their town. Protecting the Arctic requires counteracting and mitigating climate change; and under Obama’s leadership, this climate agenda has been advanced, with meaningful progress made on a number of initiatives and comprehensive strategies developed to deal with climate change in the long term. On 19 March 2015, President Obama issued an Executive Order that would cut the Federal Government’s greenhouse gas (GHG) emissions by 40% from 2008 levels over the next decade, amounting to savings of $18 billion in avoided energy costs for taxpayers. The same Executive Order would also increase the share of electricity from renewable sources the Federal Government consumes to 30%. (4) Moreover, investment has been made on an unprecedented scale in clean energy technologies. Internationally, Obama has negotiated an agreement with China whereby both countries will reduce their greenhouse gas output. While China has pledged to cap its emissions for the first time, the US has promised to reduce its emissions to 26-28% below 2005 levels by 2025. (5) The Administration’s crowning achievement on the environment – the Paris Agreement in 2015 – witnessed 178 signatories agreeing to limit temperature increase to under 2ºC. One caveat, however, is that Obama accomplished this through presidential prerogative, rather than endorsement through Congress. Therefore, Obama’s climate legacy will depend largely on his successor continuing his work; and it could be overturned, were the successor to follow a different course of action. Nonetheless, in terms of wider environmental policy, the Obama Administration has done much to mitigate climate change both domestically and globally. Obama eventually reversed course on his decision and rescinded the permission for exploration that had been granted to Royal Dutch Shell. Further steps back from Arctic drilling have been taken, with the US Administration blocking Arctic drilling for 2 years from 2016 and also rejecting the extension of other existing leases granted by the Bush Administration. In July 2016, the Administration established new safety rules tailored to protect the Arctic environment in the event of future exploration. The new rules require oil companies to develop responses to oil spills, have available technology to cap spills if they occur, and have the ability to report and respond to ice conditions. These rules have attracted mixed reviews from environmentalists happy that precautions are being taken, yet disappointed that drilling has not been completely ruled out. Despite a 2-year ban on Arctic drilling, including the cancellation of leases in Beaufort and Chukchi seas in 2016 and 2017, it appears, from an early Department of the Interior draft, that the Arctic will be included in the 2017-2022 Outer Continental Shelf Program, and leases will be granted in Cook Inlet, Beaufort and Chukchi seas. Interior Secretary Sally Jewell suggested that there will indeed be drilling in the Arctic; however, this will occur near the end of the lease, so as to thoroughly evaluate the safety. While this move was lauded by several environmental groups, it was lambasted by Alaska’s senior Senator Lisa Murkowski, Head of the Senate Energy and Natural Resources Committee, who vowed to fight and block the Administration’s efforts to unilaterally “impose new restrictions on Alaska’s land and resources” by advancing the new wilderness designation, despite bipartisan opposition from Alaska’s leaders. “The vast majority of Alaskans do not support creating new wilderness in ANWR, so I am disappointed to see the Obama administration is continuing to press the issue”. Murkowski, who has introduced legislation permitting oil production in the refuge, stated, “A Congressional designation of the Coastal plain as wilderness will not happen on my watch.”(16) Likewise, the junior Senator for Alaska, Dan Sullivan, criticised Obama’s “goal of starving the Trans-Alaska Pipeline and turning our state into a giant national park”, and warned that the proposal would “undermine Alaska’s future and America’s energy security”. (17) Nevertheless, Obama has found a kindred spirit in Canadian Prime Minister Justin Trudeau. In 2016, both pledged to further protect areas of the Arctic from drilling and overfishing, committing to protect at least 17% of the Arctic land mass and 10% of Arctic marine areas by 2020. (18) Such efforts may not constitute the official designation of wilderness that environmentalists want; however, such a designation can only come from Congress. Given that Congress in recent years has been slow to use its power to create wilderness zones, Obama’s best course of action has been to utilise alternative means to achieve the desired results. Both Obama and Trudeau have committed to meet later this year and to possibly expand these targets, looking to protect more of the Arctic area from exploration. In addition, the Obama Administration has frequently looked to work in conjunction and cooperation with other Arctic states on issues that affect the region, as shown during the GLACIER Conference (Conference on Global Leadership in the Arctic: Cooperation, Innovation, Engagement & Resilience) in August 2015. Similarly, while chairing the Arctic Council since 2015, the US propounded three main thematic focuses – improving economic and living conditions for indigenous Arctic communities, promoting Arctic Ocean safety and stewardship, and addressing the impact of climate change. Advancing these agendas within the Arctic Council has highlighted the Obama Administration’s commitment to working to advance mutual cooperation within the Arctic, despite geopolitical developments elsewhere. The inaugural White House Arctic Science Ministerial, scheduled for 28 September 2016, provides another example of the Obama Administration’s efforts to enhance global cooperation by “advanc[ing] promising, near-term science initiatives and creat[ing] a context for increased international scientific collaboration on the Arctic over the long term”. (19) This meeting will include high-level officials, science ministers and scientific advisors not only from the Arctic but also across the globe. The event, scheduled for the first anniversary of Obama’s Arctic visit, looks to enhance understanding and cooperation over climate issues in the Arctic. The primary focus will be to secure greater cooperation on data gathering and sharing, whilst also looking to increase integration between states and community-based projects. Furthermore, efforts will be made to fully utilise the knowledge of indigenous people, whilst also looking to build their resilience to climate change and develop joint strategies that build resilience to future threats. Obama’s Arctic legacy is, thus, predominantly positive, having advanced the climate agenda and improved cooperation in the region, while also looking to further scientific collaboration with the Arctic Science Ministerial this September. Obama has avoided falling into the trap of prematurely militarising the region in favour of continued engagement, cooperation and diplomacy with Russia. Much of Obama’s progress, however, relies on his successor advancing the same or similar policies. Richard Clifford is an Associate in the Geopolitics and Security Unit at Polar Research and Policy Initiative. He is completing an MSc in Defence, Development and Diplomacy at Durham University and has an undergraduate degree in History and International Relations from the London School of Economics.